During the three weeks from September 11-29, 2017, Days of Our Lives overall ratings improved from the previous period we observed: July 19 - September 8, 2017. It seems the show experienced a ratings boost from the Raines story. The show kept up the boost during the period September 11-29, 2017 and did not look back. Congratulations, Days of Our Lives. During the time period from July 19 to September 8, 2017, the least popular Days of Our Lives story was the Hattie/Bonnie doppelganger story. This story was the common denominator of the three episodes with the lowest number of viewers during this time period. The Days episode with the lowest number of viewers aired on July 21. In this episode, Hattie was revealed in Anjelica's office. The Days episode with the second lowest number of viewers aired on August 8. In this episode, Eric and John reported Marlena missing to the Salem Police Department. Also Anjelica summoned Adrienne to the Brady Pub for the purpose of kidnapping her. The Days episode with the third lowest number of viewers aired on August 17. In this episode, Hattie kissed Roman. Also in this episode, Bonnie felt sorry of Lucas after she, posing as Adrienne, dumped him. Adrienne, now in Statesville Prison in Bonnie's place, is placed in solitary confinement. The Days episode with the fourth lowest number of viewers aired on July 24. In this episode, Jennifer has words with Brady regarding his jealousy of Eric and Nicole. 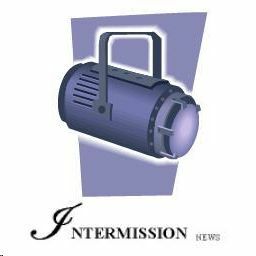 During the period from July 19 to September 8, 2017, the number 1 story on Days of Our Lives was the Raines story. This conclusion is based on the common denominator among the stories that aired on the four episodes with the highest number of viewers during this time period. In each of these four episodes, the common denominator was the Raines story. During the time period specified above, the Days episode with the highest number of viewers aired on September 6. In this episode, Raines was apprehended as Dario's silent partner in the crime of counterfeit money. Also, Nicole got custody of her daughter, Holly, and John and Marlena's planned escape from Bayview Sanitarium failed. The Days episode with the second highest number of viewers aired on August 30, 2017. In this episode, Myron fingered Raines to Hope and Rafe as Dario's accomplice. Also, John and Marlena planned their escape from Bayview Sanitarium that ultimately failed. The Days episode with the third highest number of viewers aired on August 24. In this episode, Brady told Victor that Nicole killed Deimos. The Days episode with the fourth highest number of viewers aired on August 28. In this episode, Rafe and Hope discussed Raines with Abe. Also, Lucas found Anjelica dead in his bed. Congratulations to Aaron D. Spears (Raines) and the rest of the Days cast members who aired during this period on a job well done. When Should a Soap Opera Kill Off a Character? Soap opera writers should be very careful about killing off a soap opera character. Why? Often times they want the character back on the show. The soap opera, Days of Our Lives has been notorious for bringing characters back from the dead. The most notable time was when many of that show’s main characters were supposedly “killed off” by the Salem Stalker, only to be found alive on the island of Melaswen (New Salem spelled backwards), being victims of a diabolical plot of the DiMera family! This story, although a little farfetched, was made to be “believable” only because the victims were never really dead, but placed in a coma like state that feigned death. So their “returns from the dead” even in soap opera fiction was “understandable”. Another way characters have “returned from the dead” is in a case of mistaken identity. In the 1980s, the character of Marlena was mistakenly identified as dead by the hand of the Salem Strangler. The truth was that it was her twin sister who had fallen victim to the strangler. Good thing too, because when Days of Our Lives fans learned of the supposed death of Marlena, they staged a protest at the NBC studios that had never been seen before or since. I too am glad it was a case of mistaken identity. A case that may or may not play out at Days of Our Lives is that of Kristen DiMera, who when last seen, fell out of the window of an Italian villa located on a cliff. Her body was never recovered and was thought washed out to sea. I am also glad Kristen’s body was not found. That way she could “return from the dead” any time the writers are ready and stir up more trouble in Salem. 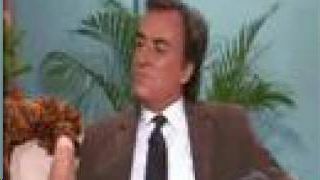 The case of Andre DiMera (played by Thaao Penghlis) on Days of Our Lives has yet to be explained. But fans of Mr. Penghlis in the role of Andre are glad he is back and are “going along for the ride” in this somewhat farfetched turn of events. Suspending common sense is part of the fun and sometimes a requirement of being a devoted soap fan, because it allows you to recover items lost, such as favorite actors in their respective signature soap opera roles. There are also numerous instances of “returns from the dead” for characters such as Roman Brady, Hope Brady, Jack Devereaux and of course The Pheonix himself, Stefano Dimera. So when is it okay for soap writers to kill off a character – and the character stays dead? One obvious case is the real life death of the actor playing a favorite soap character. There are some soap roles that should not be recast upon the demise of the actor who played the role. 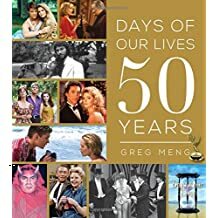 Instances on Days of Our Lives include MacDonald Carey, Frances Reid, and Brenda Benet. There have been other real life deaths of actors on other soaps and the role was not (and should not have been) recast: Ruth Warwick on All My Children and Jeanne Cooper on The Young and the Restless. Another appropriate time to kill off a character is the voluntary retirement of an actor playing a favorite character. Two instances come to mind regarding Days of Our Lives: Renee Jones (as Dr. Lexie Carver) and John Clarke (as Mickey Horton). Renee decided to retire and was confident and sure of her decision. There was nothing for the show and fans to do but accept her decision. I don't think anyone wanted Lexie recast (the show or the fans). So they wrote a good (albeit hate to see her go) story and took Lexie out in a very nice way. John Clarke (Mickey) had been gone a while and the part had been recast twice before Mickey was laid to rest. I don't think anyone could really replace John as Mickey. There were too many good memories of this original cast member. So there are instances when it is okay to kill off a character, but I would certainly use it sparingly...and give them a nice send off. Kill off a character when a story is being discontinued. Some stories are not meant to be long running. One case that comes to mind is the story involvng Jennifer Horton Devereaux and Liam Frasier. Liam was a deranged stalker who dated Jennifer. He was ultimately killed, saving Jennifer from disaster and putting an end to that story. Or when a story has proven to be unsuccessful or unpopular with the viewers, a clean break via the death of one or more characters will put an end to it. Just be sure you won't want to bring the character back later! Aiden Jennings - Bo's "Fall Guy"
I am convinced that the writers at Days of Our Lives originally planned for the character, Aiden Jennings, to be a "fall guy" for the return of the character, Bo Brady. 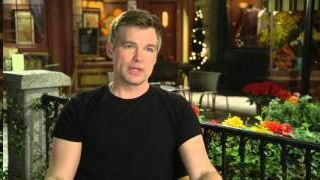 In an interview on the November 8-13, 2015 episode of the Afterbuzz TV Days of Our Lives Review show, Dishing Days, actor Daniel Cosgrove (who played Aiden Jennings on Days) stated that originally, it was not clear whether the character of Aiden would be written as good or bad. I believe this was due to efforts on the part of the show to get Peter Reckell to return as the character Bo Brady. At first there was a question as to whether or not the character Aiden had murdered his first wife. Unfortunately, negotiations between Peter and the show fell through. Hence, I believe the character was then written to be a good guy. 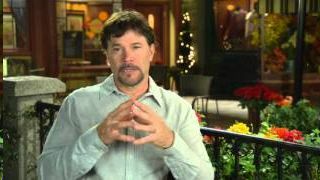 I also believe that later on, after a deal was reached to bring Peter Reckell back to Days as Bo, the Aiden story was written to have Aiden attempt to murder Hope. Bo would then step in just in time to rescue Hope, ultimately killing the murderous villain Aiden. This may not be what actually happened regarding the writing of the story of Bo's return, but looking at the story as well as what has been made known about the show through published articles in soap opera magazines and websites, it is the only thing that makes sense. What was not foreseen was that many fans had fallen in love with the character, Aiden as the new love in Hope's life and also fallen in love with Hope and Aiden as a couple nicknamed, "Haiden". As the story progressed and the plot to kill Hope at the hands of Aiden became known, "Haiden" fans became appalled and outraged. They did not want to see Aiden attempt to destroy the women he loved and the couple the fans had come to love. The fans' devotion to "Haiden" became a monkey wrench in what I am sure was a story planned and written to satisfy long time fans of the super couple Bo and Hope (affectionately called "Bope"). If Aiden did not try to kill Hope, there would be no rescue for Bo to do. That was supposed to be the "one more rescue for old time's sake". It was supposed to thrill Bope fans everywhere regarding the reunion of the super couple, Bo and Hope. Although Days executed the "Bo rescues Hope" reunion story, it sort of blew up in their faces due to many fans' attachment to "Haiden" and Aiden. What I learned from this is that you cannot always go home again in the manner in which you expected to! What if Aiden had found a way to out whit the DiMeras (who blackmailed him into to trying to kill Hope) and had married Hope with a clear conscience? Bo could have then arrived at the "Haiden" wedding too late to object and found his Fancy Face (Hope) is married to another man and starting a new life with a blended family. Bo and Hope could have said their good-byes to each other and after a brief respite in Salem with family and friends, Bo could have resumed his job with the ISA, been assigned to run their office in Europe and called Carly Manning (an old flame) who is now living in Europe. Now that would have been a good ending that would have kept fans speculating about "Bope" "Haiden" and "Barly" (Bo and Carly) for another fifty years! Wow! Now that's an ending!